Although originally designed to serve as a road map or street digital, it's been a long time since Google It has distanced himself from this simplistic use when talking about Google Maps. The famous application also inherits the powers possessed the yellow pages. As they are becoming obsolete physical media and the transition is made to the digital world, the greater the relevance of these new tools charge virtual mapping information embedded. Alphabet subsidiary does not ignore this fact and why during the last conference I / O in May 2018 announcing new products in the toilet. App users and those who use Google Maps from your computer and have enjoyed all the features presented in the show most important technological spring, because they formed part of the update of Google Maps. One of the most notorious additions, the "Your Match" option that offers a personalized score for the surveyed establishments. It is why the owners of an iOS terminal are in luck. 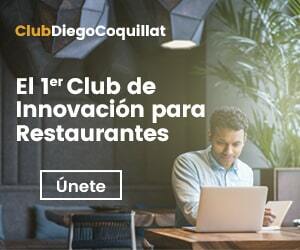 Finally may use the option «Your Match"To know what support have with restaurants, bares, hamburgueserías and other establishments in the sector who intend to visit. After having spent several months working we can also offer some remarks on the service, so Apple fans know what to expect. Available information about the restaurant in the Google database. It includes opening times, Local characterization, reviews and customer sentiment, influx and so on. User Preferences. Not fear, these data do not correspond to a campaign of massive spying technology giant. To use the service with all the guarantees and their maximum potential is appropriate that we indicate what our preferences for food, refers drinks and atmosphere. previous visits to the restaurant in question. The score "Your Match" is displayed on the screen independent of the opinions expressed by other users. Google understands that it can not give an obvious if personalized service between some people there is overwhelming differences in preferences. What is not so common is that an individual gives a turn 180 degrees in their opinions, why "Your Match" tracks any score or comments you have made about a local in question in the past and integrates it into the score issues. This recommendation service Google Maps It uses the data generated by the user and artificial intelligence to improve over time. The more you use the app Mobile greater the level of reliability of the scores presented on the screen when using "Your Match". Since Google are convinced that this technology will be welcomed with arms wide open and cause furor among both foodies, and between techies and casual users. Company spokesmen issued the following statement: "Our new tool “match” It will help you to find true love. And we mean love your next favorite cheese burger. Just click on a restore point to know how likely it is that you enjoy it based on your unique preferences; so you can spend more time eating and less looking for the place to eat ". Very wise words have resonated strongly among users of Google Maps. And is that as the number of options with digital presence, and the more aware we are of the inability to make a wise choice based on limited information online, greater is the time spent by swiping through screens of our mobile, up and down, reviewing again and again the same establishments without having a clear idea of ​​where to go. Spoiling our little leisure time. "Your Match" mission completely remove this stamp. First it has reduced its impact on Android, and now it does on iOS. While this crusade against hesitancy to eat is very commendable, it never hurts to remember that it is not the only intention pursued by Google. In addition to improving user satisfaction, Internet retain their services and collect personal information to improve their advertising systems, Google needs out of the way to all competitors not to lose a single digital Crumble cake that dispute with a thousand and one small companies. At this time, recommendations and services restaurant reviews online They are represented by a number of major companies (Yelp, TripAdvisor, Zomato, OpenTable, etc). In the case that concerns us, able to offer personalized services recommended restaurants based on own preferences, Yelp had advanced.